Porsche is planning a battery-electric SUV and all-electric Boxster/Cayman sports car, plus a Taycan Targa, for launch by 2022 as part of its investment in electrification. Porsche finance director Lutz Meschke revealed the plan for a battery SUV and sports car at an event in Germany last week. "You can expect a SUV BEV [battery-electric vehicle] by 2022 at the latest,” he told journalists, without elaborating further. Meschke also told journalists that “the Boxster and Cayman could be suitable for electrification”. Departed Volkswagen Group CEO Matthias Müller – previously Porsche’s boss – committed every group brand to having an electrified version of every model by 2023, and Porsche was no exception. Meschke referred to the electric utility vehicle as a “big SUV”, which would indicate a Cayenne-sized car, but the Cayenne is just a year old and not due for replacement until 2024/25. It would make a natural rival for the Tesla Model X. To get an electric SUV to market more rapidly, Porsche is likely to focus on the replacement for the mid-size Macan – which currently shares its platform with Audi’s Q5 – as it is due for replacement around 2021. However, there are at least three other possibilities: a variant of Audi’s new E-tron SUV, a re-engineered Cayenne, or a ground-up new Porsche all-electric SUV. Porsche is moving fast in the direction of BEVs post-Dieselgate and the new Taycan four-door has been in development for four years and will be launched in late 2019. Engine downsized, turbo added and chassis tuned. Has Porsche made all the right moves, or is the 718 Boxter a worthy soft-top successor? This month, Porsche announced that it will drop diesel from its engine line-up. This will especially affect the Macan, one of its bestselling vehicles and sold with a rich mix of diesel engines. 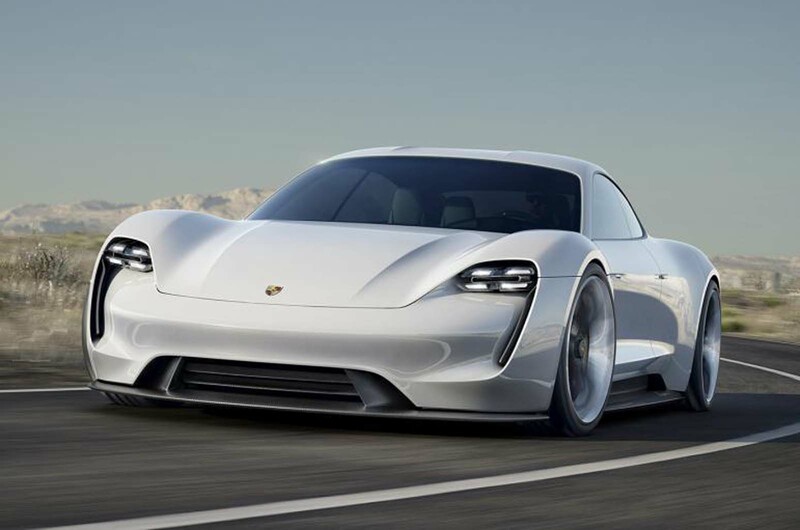 Porsche is already working on a new, all-electric platform, called the PPE, jointly with Audi for a next generation of electric vehicles. The PPE is all-new, but includes learning from the J1 underpinning that’s the basis for the new four-door Taycan BEV, due on sale “by the end of 2019”. The Taycan will become a family of models with further strong hints that the Cross Turismo, shown as a concept at Geneva this year, has a production future. “The Taycan derivatives have already been showcased,” said Meschke. It has also emerged that the Zuffenhausen plant where the Taycan will be built is preparing for a Targa version, for launch in 2020/21. Details are scarce, but the Taycan Targa is most likely to feature a large glazed opening that slides down to the rear hatch area. The J1 underpinning could readily be adapted with a short wheelbase and two-door body as the basis of a new compact Porsche sports car. However, such a mod would reduce battery size, range and performance. Preparing for more electric models after the Taycan, the new PPE architecture is in development in parallel with the Taycan and could be ready for market in 2022, when Porsche says its BEV SUV will be on sale. It is unclear if the PPE platform is sufficiently flexible to underpin multiple powertrain layouts and firewall heights, but Porsche has already built an electric Boxster E prototype. A packaging prototype, it was also touted as a possible rival for the Tesla Roadster. But that was seven years ago, an age in electric car development. The Boxster E had componentry borrowed from VW’s Golf blue-e motion and a 121bhp electric motor fed by a 340-cell lithium ion battery pack, all packaged in the space vacated by the flat-six combustion engine. Porsche engineers learned a lot from that car, including concerns that the weight of the battery powertrain would affect performance and handling, the latter because the weight raised the centre of gravity. One told Autocar last year that “fully electrified sports cars would work well for longitudinal acceleration, but the weight disadvantage is in the handling”. Whether a future 911 will use solely battery power is also up for debate. Meschke confirmed that the next 911, in its new 992 guise and due on sale later this year, will include a hybrid version. The 911 hybrid won’t be available at launch, but is pencilled in to the plan as part of the new model electrification onslaught by 2022 – to fulfil the group strategic target of every model with an electrified version by 2023. Porsche engineers have previously told Autocar that the packaging issues of a pure battery electric drivetrain were incompatible with the 911 as a fine handling sports car with everyday usable 2+2 seating. Last year, an engineer told Autocar that next-generation solid state batteries, which are lighter and predicted to be able to be shaped to reduce package space, might be the required breakthrough to make a 911 BEV a reality. However, solid state technology may be a decade from production. Good idea, revealing plans for a car that won't exist for 4 years to go up against car that doesn't exist either. In the meantime Ferrari plan to reveal plans for competitor to this non-existant Porsche EV. Certainly Batteries shaped to fit will be helpful but, what’s needed is a step change in how much range and how quick the can be charged, two three hundred miles won’t cnvi me to buy one just now, we need 500, 600miles and a one hour charge time too, surely that can’t be decades off? Why do you have to have a 500/600 mile range for an electric car to be plausible? How often do you ever go that far in a single trip? And even if you are, nobody ever does that kind of distance in a single stint. 200/300 miles is more than suitable for regular daily use, even if you're commuting long distances. People are so unwilling to think about neccessary changes to their lifestyles to fit with the future world. You have to charge your phone for daily use, so why shouldn't you charge your car daily. There is already the facility to provide fast charging for usable range so how can an electric car not fit in with peoples lifestyles. People unwilling to accept change is all it is! When you say 'we need' I presume you mean 'I need'. Most people can't go for 600 miles without a break. Even if you managed to average 70mph that's over 8 and half hours of driving continuously. As an article I read where a trip of only 328 miles was done useing a Jaguar I-pace driven as per normal, no driving like there’s an Egg under the Gas pedal took 13 hours to complete, and even allowing for photo opportunities for the article and an hour and a half top up, that at a guess was still 10 hours driving, now how long do you think it would take in a Fossil powered Car?.my point about having 600+ potential puts it on a par with what we can get out of Cars now, so, no anxiety in the colder Months, most of us fill up at least once a Week with an EV it would be really cheap motoring if we got 600+ on a charge, if 100Kw chargers were available to connect to your own House supply would be a help also, so the future, so the figure I said isn’t in my view in the future that unrealistic. But dear Herr Porsche...will any of them make money? As exciting as alcohol free champagne. Flat alcohol free champagne. Another Tesla killer wannabe! Given the uncommon strength and far reach of the VW PR, I am sure it will shift a few. As for being as good as an equivalent Tesla. Oh I have my doubts. A better interior and perceived quality may be but when it comes to range drive ability acceleration and speed Tesla has the edge. It will be nice to see them spending huge money promoting that BEV sports vehicle, making all kinds of ads and paying to all kinds of celebs to drive one just too see if they can sell a few. Meanwhile the ICE 911's sell bucket loads just by being that, an ICE 911. I wouldn't toot Tesla's horn on range if I were Fadyady. The $36,000 Hyundai Kona has a 258 mile EPA estimated range, the $37,000 Chevy Bolt has 238 miles, the Tesla 3 in alleged $35,000 form has 220, except the $35,000 Tesla 3 doesn't exist, because they aren't making them.